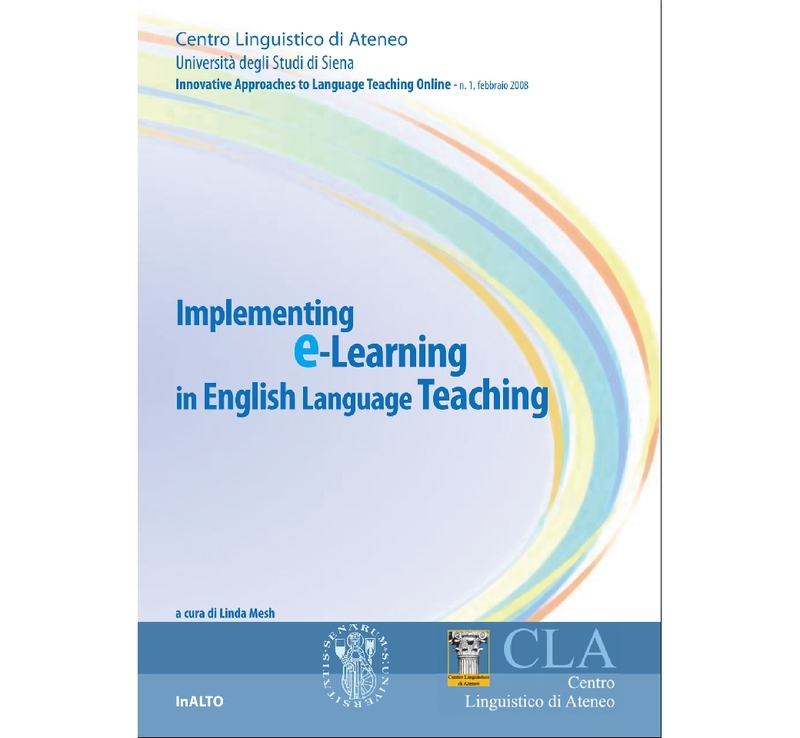 Introduction di Linda Mesh; Blended Learning: A Case Study di Helen Glave; Using Internet and CMC in ESL Teaching di Julie Donald; WebLingu@ – building and sustaining a learning community in asynchronouns discussion formus di M. Camarra, L. Mesh, A. Rocchiccioli, C. Taylor; The Self-access Laboratory and New Technologies di Roberta De Stefani; Two’s Company. Three’s a Charm! di Anria Chazine, Maryann Montesanto; ESP Archeology: Collaborative Course Development and Blended Teaching di Jaqui Baxter, Anne Rocchiccioli; Using Learning Objects in an Online Language Course di Antonia Clark; Blogs, wikis and RSS: A gentle introduction di Riccardo Rencinai; Integrating Computer Mediated Communication in Face-ti-face EFL Lesson di Gabriella Della Valle; Online Development of Oral Communication Skills di Amy Fowkes; Speaking and Listening at a Distance di Claire Pinks; Online Testing: WebLingu@ Level B di Monique Camarra; Moodle Assisted Teacher Training: A case study of SSIS di Charoltte Taylor, Simone Rui; Fostering Collaborative Reflectivity Through Asynchronous Discussion Formus: A Study of Italian Teacher Trainees di Meg Cassamally; A strategy for Learner Support and Quality Assurance in a Blended ESL Course di Linda Mesh; Experience a san Online Co-tutor in a Blended English Course: Monitoring Techniques for an Online Class di Ivava Marenzi.